Weddings are a big deal. They take a lot of time and energy and can cause a lot of stress. That’s why bridesmaids are so very important! It’s up to these ladies to plan the best bachelorette party a gal could ask for. Also known as a ‘hen party’ in the UK! With a little bit of planning and creativity, this will be a night she never forgets! Follow this bachelorette party checklist for optimal results for this very special night. Meet the ladies. If you don’t already know the bridesmaids, reach out to them so you can start the planning process. Who’s coming? Poll the party committee aka bridesmaids for a list of women to invite to the festivities. Ask the bride who she would like to invite. Don’t forget to include important family members like sisters and mothers (depending on the type of event it is). Pick a date. It’s a busy time for the bride, so be sure to ask her what date works best with her schedule. Then, poll the ladies to make sure everyone can come. Leave the bride out of it. Going forward, don’t bother the bride about bachelorette party details. 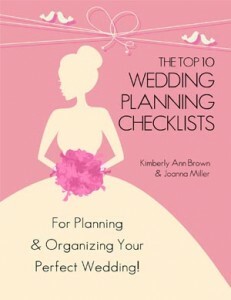 Let her worry about the wedding, while you do the party planning. Discuss the budget. These events can get pretty pricey. You could keep it super simple and stay close to home or plan an extravagant out of town adventure. However, not everyone will be able to afford the latter of the two. Plus, people may have a hard time with scheduling. You may want to consult everyone and see what they are able to accomplish. Remember, it’s more important to have all of the special people in the bride to be’s life in attendance than anything. So, if it’s looking like most people can’t swing the out of town soiree then think of a way to make a night out in your own town more desirable. Also, you’ll want to figure out how much everything will cost in advance. Be sure to split up the bride’s portion so she doesn’t have to pay. Have all of the attendees send money to the person in charge in advance so that the evening goes off without having to awkwardly divide up checks all night long with a big party in tow. Brainstorm party ideas. These types of events can go two different ways: naughty or nice. You can also do something in between. Before picking a route, figure out who your attendees are going to be. You don’t want to invite the bride’s mom to a striptease. Ideas that usually go over very well are a day at the spa, a night at the club, an afternoon at the beach, and a dinner at a nice restaurant. Pick a location. Decide on a location or venue to host the party at before sending out any invites. Whether it is at someone’s house, a local restaurant, or a weekend gateway, reserve the venue first so it doesn’t hold up the rest of the logistical planning. TIP: When picking a location, make a list of the top three places just in case one location is booked or unavailable. Make reservations. If the party requires reservations then make sure that you make them at least one month before the date of the party. This includes places such as restaurants, hair/nail care, spa treatments, entertainment shows, bar/club admittance, transportation, excursions, or cooking lessons. Keep in mind that most weddings happen in the from late spring through early fall so bachelorette party venues can often fill up quickly. TIP: One week before the party call to confirm your reservations to avoid any mishaps. Choose a designated driver. One way to make the night extra fun is to rent a limousine or party bus. Not only does this make the evening special, but it takes the responsibility of driving off of everyone. Wear festive accessories. You can never go wrong with feather boas and tiaras. You may want to have a theme for the evening like flappers, gangsters or princesses. It can be fun to make tee shirts for everyone to wear with a fun saying about the bride to be. Buy bachelorette party supplies. One to two weeks before the party purchase all of your bachelorette party supplies. Things like custom t-shirts, veils, garter belts, necklaces, buttons, and naughty candy are all essential to have at any bridal bash. Also, if you plan on having a scavenger hunt then make sure that it is drafted and all the necessary items are purchased. Make decorations. Whether the party is in your home or on the road, think of fun decorations to adorn your space. Blow up photos of the bride and groom or make her a name tag with her new last name. Personalize it. Have fun with it! Think of fun games. Opening presents doesn’t take that long. You’ll want to have some fun games ready for the guests to play whether you’re at home for the party or taking the show on the road. It’s always fun to plan a scavenger hunt or customize a trivia game about how the bride and groom met. Don’t forget the bubbly! It’s not a celebration unless there’s a Champagne toast. A good alternative to alcohol is sparkling cider. Let all of the guests make a special toast so that the bride feels the love. Attend to the bride. 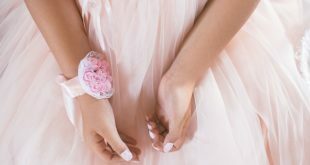 On the day of the bachelorette party, make sure the bride-to-be is pampered, relaxed, and most importantly having fun. Focusing on the bride’s needs will ensure that the party is successful and memorable.